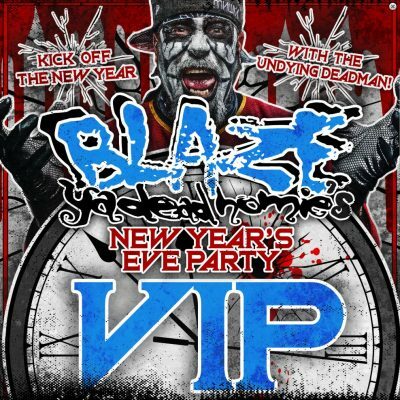 Radio420™: VIP Packages for Twiztid and Blaze’s NYE Shows Now Available! 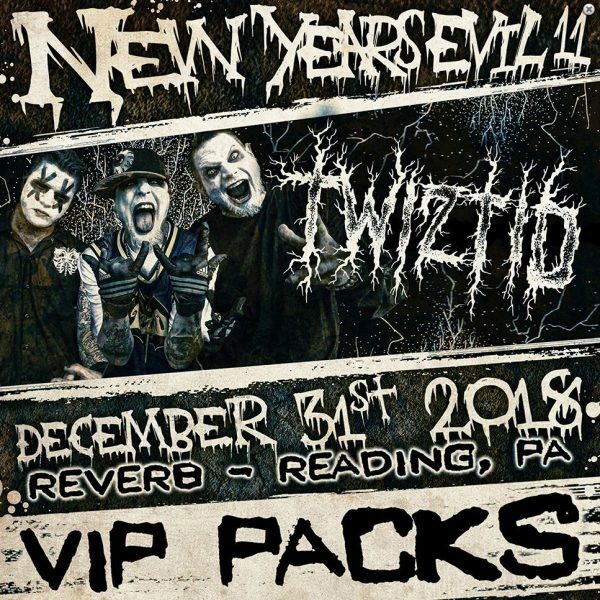 VIP Packages for Twiztid and Blaze’s NYE Shows Now Available! We’ve already told you about New Years Evil 11 with Twiztid in Reading, PA. We’ve also told you more recently about the Blaze New Year’s Eve Party taking place in Dayton, Ohio. What we HAVEN’T really highlighted are the VIP packages that are available for each of these shows! Now, here are the details on the VIP packages. Click to purchase your New Year’s Evil VIP! Thats right come out and celebrate the 11th annual NEW YEAR’S EVIL with Twiztid in VIP fashion!! The Demented Duo are going to do it big on NEW YEAR’S EVE! Taking place at Reverb in Reading, PA this December 31st, Twiztid will be rocking the dead and kicking it with the FAM, and this year they bring metalcore phenoms, EMMURE as well as Alla Xul Elu, Islander, Lex The Hex Master, AND MORE!! For anyone who has ever been to a New Years Evil you know this is the best way to ring in the new year and kick it off right!! 1. Meet and Greet with TWIZTID taking place before the show to score autographs and photos with the Demented Duo!! And now, details on Blaze’s $50 meet and greet. Click to purchase Blaze’s NYE VIP Package! Come out and celebrate Blaze’s New Year’s Eve Party in VIP fashion!! In Dayton, OH at Oddbody’s this December 31st, Blaze will be BURYING 2018 and kicking off 2019 in ways only the Deadman can!! Joining Blaze will be UGA member Bukshot, Menace 2 Sobriety, and MANY MORE!! If you’re already ringing in the new year with either Twiztid or Blaze, why not start it off right with some fresh new merch and a new profile pic with either the demented duo or your favorite Dead Homie?